Dümmen Orange is focusing on providing more solutions for growers as it continues to build out Basewell, a product that combines the benefits of unrooted cuttings and rooted cuttings. The Basewell program takes unrooted cuttings a step further with the addition of visible root development, which makes it easier to plant directly into a finished container. 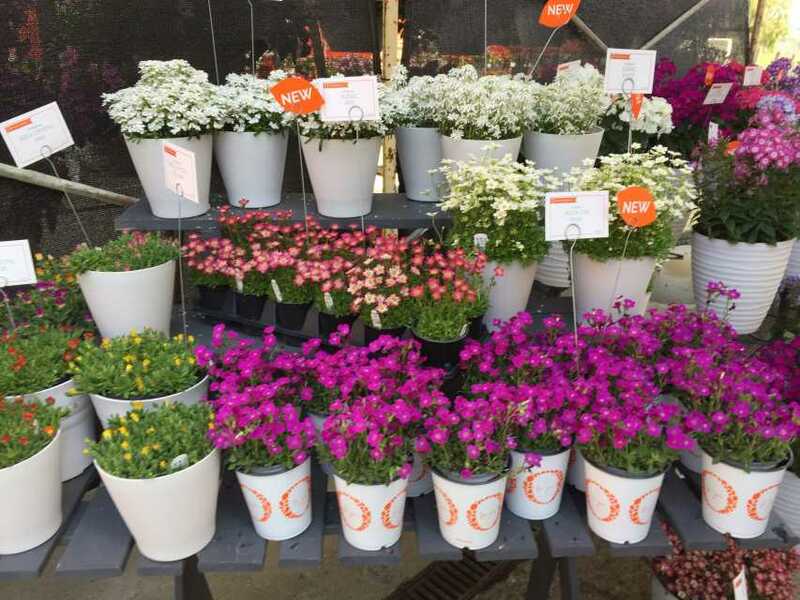 Dümmen Orange recently announced the addition of Westhoff annuals to the Basewell program for the 2019 to 2010 season, as well as a core perennial program. In the new variety area, Dümmen introduced Fleur De Rock, a new Alpine Collection of rock garden plants for early spring and summer programs that includes five new series from plants such as delosperma, aubrieta, and saxifraga. The start of a brand new series, ‘Roller Coaster Hot Pink’ has neon-bright pink flowers to lighten up shady areas. It is more compact than Wild Romance New Guinea impatiens. Dümmen Orange continues to develop this series with the addition of new sub-series such as Spot On and Jazzy. Spot On impatiens are vigorous landscape performers that have noticeable red eyes. The subseries includes six pastel colors. Jazzy impatiens have more of the traditional New Guinea impatiens look. They’re notable for their jewel-toned blooms that stand out on variegated foliage. Two new colors were added to the Jazzy subseries this year. Part of the new saxifrage Scenic series in the Alpine Collection, ‘Scenic Red’ has bright-red blooms that fade to pink. This pot mum stood out with its eye-catching orange striping on a yellow background. Another unique-looking mum with incurved petals on the blooms. This low-growing, herbaceous perennial is part of Dümmen Orange’s Alpine Collection. Iron Lady is a sterile variety that doesn’t cycle out of flowering. Calibash is one of two new intros, along with Apple Blossom’ in the compact Aloha series. Rock Crystal is a new, super compact delosperma series in the Alpine collection that works well for quart production. Solstice is a medium-compact delosperma series suitable for production in gallons. It is part of the Alpine Collection.